Good thing you cant hear me sing! 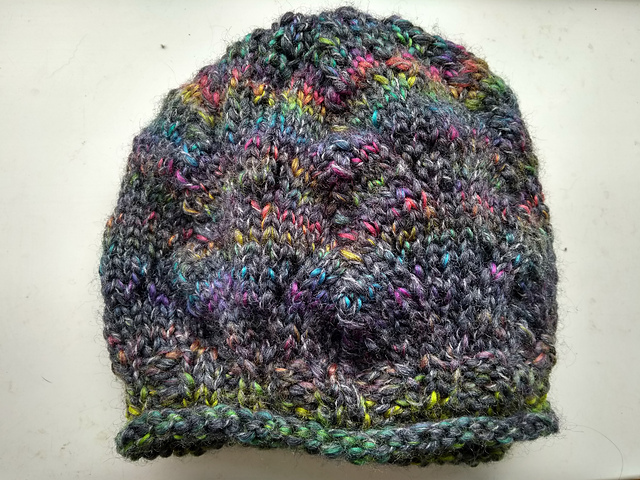 It is very, very hot today, and yesterday, it’s been hot (for me) all week really, which makes my latest knitting project of wooly hats feel very pointless! Ah well, it’ll be of use soon, possibly tomorrow knowing the British weather. 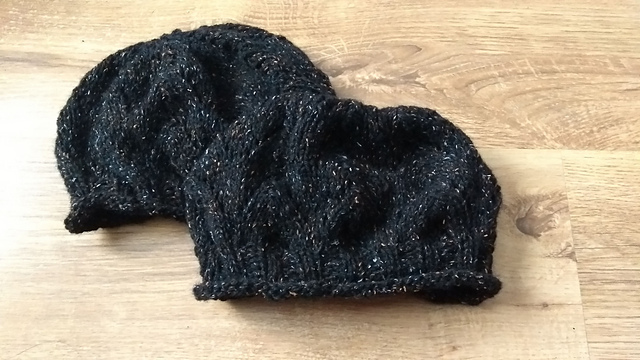 There’s an story to these (there’s always a story) I’ve made three of these for my mum previously – the first two were made from New Lanark wool to match a jumper I made her, and a matching scarf and mitts. The first of these she wore through (she works at a school and it’s a playground must have for her, plus anytime she goes outside in the poorer weather), the second is in use, and the third was a little cotton summer version which, her living in Scotland, gets about a week of use a year. There’s not an inch of New Lanark wool left so I stash dived and found this pretty unlabelled wool. There’s an amusing story to tell regarding free RPG day, or more specifically the shop it was at, but I’ll save that for next week. ‹ Fish, fish, fishy fish!